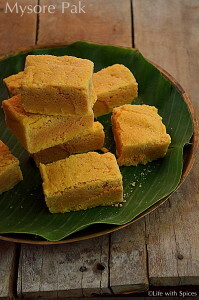 Mysore pak sweet is a specialty of South Indian homes. From being a great fan of this traditional sweet now have turned to be a hater of it. The originality of this sweet is completely changed and now termed as mysurpa. Mysore pak has to be bit rocky and less in sweet, light yellowish outside and brown color inside with porous holes in it makes it perfect. Nowadays it has become a rarity to see mysore pak being served on any occasions. Every one have shifted their interests to North Indian sweets. No Diwali or function is complete without traditional mysore pak and boondi laddu during my childhood days. 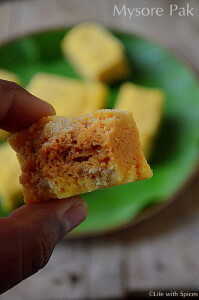 My mom makes the best mysore pak and i use to finish the entire batch in less than an hour. 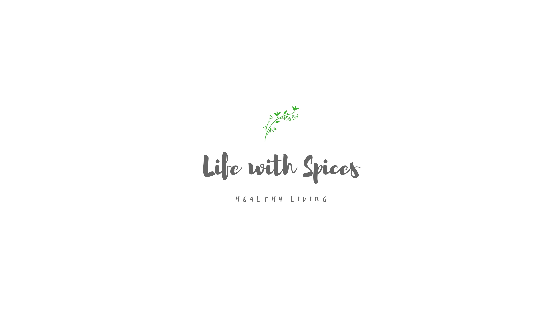 Swift gram flour so that no lumps are there. In a pan heat water with sugar bring to one string consistency. Mean while heat oil + ghee mixture in another pan once it become hot turn into low heat. Add gram flour to the sugar mixture spoon by spoon slowly and keep stirring so that no lumps are there. Once the gram flour is completely mixed start adding ghee + oil mixture ladle by ladle and keep stirring this besan mixture. Keep adding until the entire oil + ghee mixture is finished. Keep mixing the besan mixture from semi loose to thick mixture they will turn into and from on they will start turning thicker and once porous structure is created immediately transfer to a greased tray and allow to cool. All these time stirring in low heat continuously is a must. In 10 minutes slice the mysore pak, and once it cools cut them sprinkle sugar granules and store in air tight container. What a terrific and teasing combo, this soft Mysorepak and crispy Cashewnut pakoda? So simple to make for this Deepavali. fancy website [url=http://onlinecasinobonukset.net/nettikasino/]uusi nettikasino [/url] - uusi nettikasino, ray nettikasino.